I've written a couple articles regarding my 2002 V11 LeMans that I purchased in late August of 2001. This LeMans now (as of early February, 2002) has 11,600 miles on the clock. Basically, this article is an update on the LeMans and in particular about a pair of Givi saddle bags I installed and a few opinionated comments. For at least two months my new LeMans sat in the garage, missing the stock handlebars, missing the foot controls and front foot pegs. Thanks again to Bob Alf of Lincoln, Nebraska for designing and machining the wonderful replacement parts. They are not only functional, and work well, but the machined parts are beautiful. I enjoy pointing out to friends the quality work that Bob did. FYI, Bob has zero plans in regards to building one or more additional kits. Sorry! As I've mentioned in one or two past articles - I fell in love with the V11 LeMans when I took a demo ride provided by MGNA. In the end, I wanted the beauty of the LeMans, as well as the extra power that it has over my 1998 EV California, and the solid handling is terrific and adds greatly to my riding enjoyment. I sit on my Guzzis long periods of time, so I wanted a tad more comfort than the stock V11 LeMans provided, thus the higher handlebars and lower the foot controls. The foot controls were extended forward and downward by 3 or so, as well as the taller after market windscreen that was installed within a couple months after I brought the V11 LeMans home. 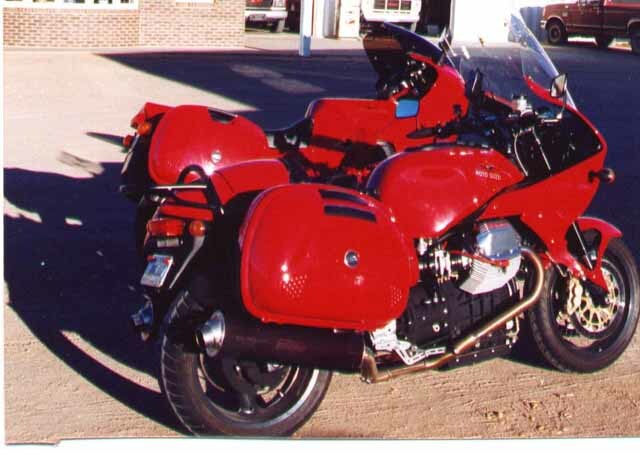 I ordered these bags from Harper's Moto Guzzi in Greenwood, Missouri. Curtis Harper informed me Givi was out of the 40 liter units, but could obtain a pair of the 46 liter units in red. (Dave already got his 40 liter Givi bags from Curtis.) Why not, bigger might be better? Besides, I didn't want to wait upwards of eight weeks for the backorder on the 40 liter jobs. The 46 liter units are approximately 1.25 wider (each) than the 40 liter Givi bags and they are taller too (I think). The overall width of the LeMans (counting the large saddle bags) is a tad over 41 inches! They really stick out there, and the brackets are fastened as close into the LeMans as possible. I call them my Red Pontoons! But they hold a lot of stuff and they are indeed water tight, and they snap off very quickly if I prefer to leave them at home or in the motel room. Brackets weren't available for the V11 LeMans, so Dave Zecha and I worked out the fabrications for the brackets to fit. We worked at mounting the brackets for the better part of one day. Things went more smoothly than we expected. The main concern was lowering the mufflers enough so that the bags would end up as low as possible and at the proper angle to match the mufflers. After using expert precision adjustment on the mufflers, to allow them to come downward (we placed wooden blocks under the crossover and forcefully bent the mufflers/pipes down by hand), the mufflers were lowered by approximately three inches at the ends of each. Why do manufacturers have to stick mufflers up in the air!? 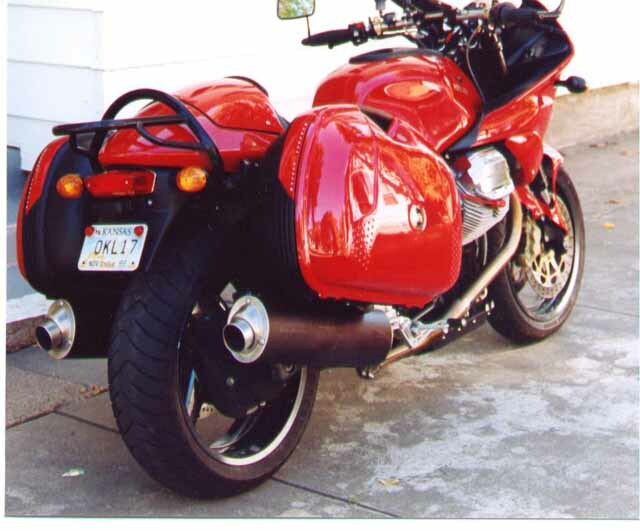 Only makes it more difficult for the passenger to have a comfortable foot peg setup and difficult at best to mount real saddlebags. (Probably monkey see, monkey do.) Straight and flat mufflers (like on the old V7 Sport) won't drag and they are out of the way. To me, having mufflers up there in the air is style over function, and I can do without this kind of style. Probably works well for the rider who isn't into long distance riding - I just like to carry a lot of my stuff, and I need REAL saddlebags. I've used Hepco/Becker bags before and I like their latch arrangement tons better than the Givi bags. To their credit, these Givi bags have only one latch, but it's awkward compared to the Hepco Becker bags. And too, every time the Givi units are opened or closed, I have to deal with the key. With Hepco Becker bags, you can lock them if you want, or do as I do and never mess with the key. But the Givi bags work well to keep my stuff safe, they are water tight and solid accessories for a traveling Guzzi. And too, they snap on and off easily and overall, Givi builds a high quality product. I also added a Stucchi luggage rack. I bought this item from MG Cycle in Albany, Wisconsin. It's a well designed rack, fits on the bike nicely, etc. But like most luggage racks today, it's tiny and not large enough for touring and stowing gear. As my father used to say, If it's worth doing, it's worth doing right. Hello, anybody home!? 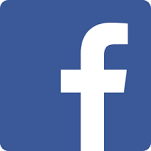 What's wrong in building something that's big enough to do the job? When I go on trips (not everyone does that of course), I attach an old flat Krauser plastic base to the Stucchi with plastic ties and this works well enough to carry my very large (13 year old) red waterproof vinyl bag. Gordon at MG Cycle suggested another rack they sell for the V11 LeMans, but being my normal self, I didn't want to wait a couple weeks until those came in. Besides - I needed the rack NOW because I was soon heading for MGNA's Open House (April, 2002). Just for looks, I removed the plain ugly-gray valve covers and replaced them with polished covers from a California III. For me, this was style over function for a change (style for my taste). Before the polished covers arrived, I painted the gray valve covers red, and it's my opinion the red ones look the best. But I already had the polished pair coming, so I ended up selling the originals and installing the California III units. I like those, and that's what counts. I'll say one thing for the stock gray paint on those stock valve covers - that's tough stuff! I tried paint remover, and sanding the gray paint off, I finally gave up and simply painted the red over the original finish. My V11 LeMans is now (for me) truly set up as a solo sport touring machine and it's reasonably comfortable for several hundred mile days - my longest being from Black Mountain, North Carolina to Larned, Kansas in late April, 2002 - very close to 1200 miles in something over 14.5 hours (I forget exactly). While the V11 LeMans isn't the fastest of the fast by any means - it is one of the best sport touring (solo) machines out there. According to my GPS, it will run a real 140 mph. In my eyes it's different than other makes, and I like the lines, and red paint so very well. Maybe even more important to me - it doesn't look like a Flash Gordon reject ridden by the masses. It's so different in such a pretty way. A friend in Georgia is in the process of building a taller and wider windscreen for the V11 LeMans fairing, so stay tuned. As soon as I get one of those in my hot little hands I'll do a write up on that after market screen. He is developing other items. Check it out at: http://www.dansguzzi.com. 46 liter Givi bags. You ought to see this in color! 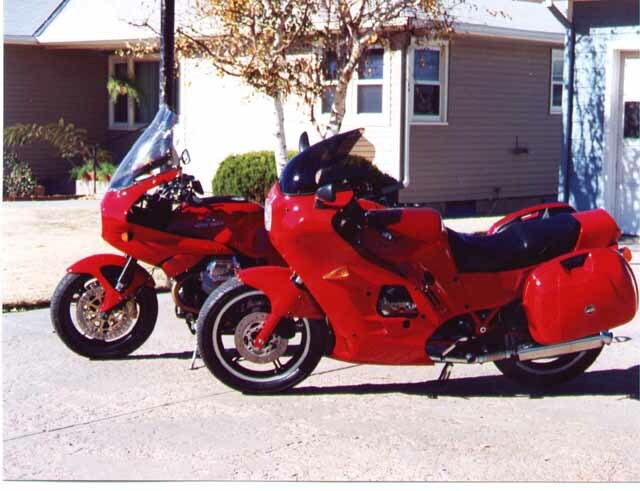 Two RED LeMans - both with Givi bags. Dave Zecha's gorgeous '86 Ford pickup truck red machine (it doesn't get any prettier than that one), and my V11 LeMans. Here's a shot of the two LeMans models. I LOVE the sport touring fairing on Dave's '86 LeMans. If I could wave a magic wand, I'd trade him my fairing for his! Curtis Harper - you got any more of those? I'm smiling, I'm smiling! No, I didn't loose my last friend. I'm just a little sad I couldn't take one of those cute little Vespa's home with me. 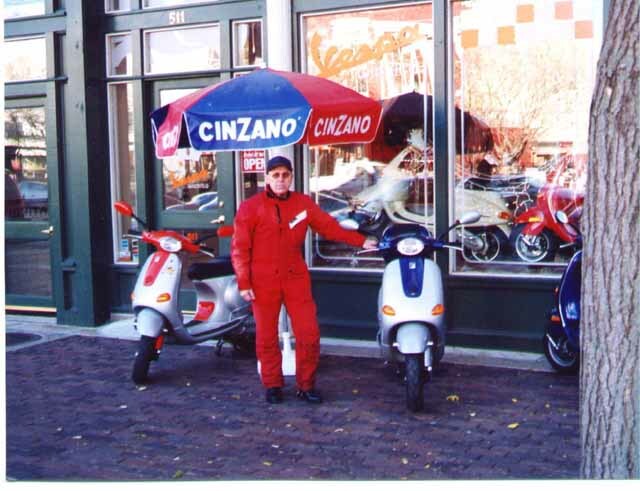 Picture taken at the Vespa shop in Wichita, Kansas. By the way, I have my 11 year old AeroStich riding suit on. It's getting a little tired after traveling far and wide, but it still does the job. Where's my magic wand, I'll take another red AeroStich please!